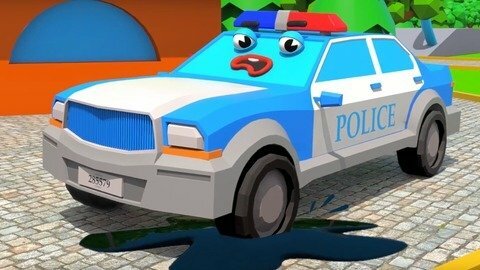 Cartoon For Children About Fast Police Car And Speed Race In Car Town is on the screen! The main hero decides to have a super race with hurdles. But Yellow Excavator wants to prevent him. Naughty hero puts various hurdles on the route of Police Car. Watch this exciting video and enjoy.